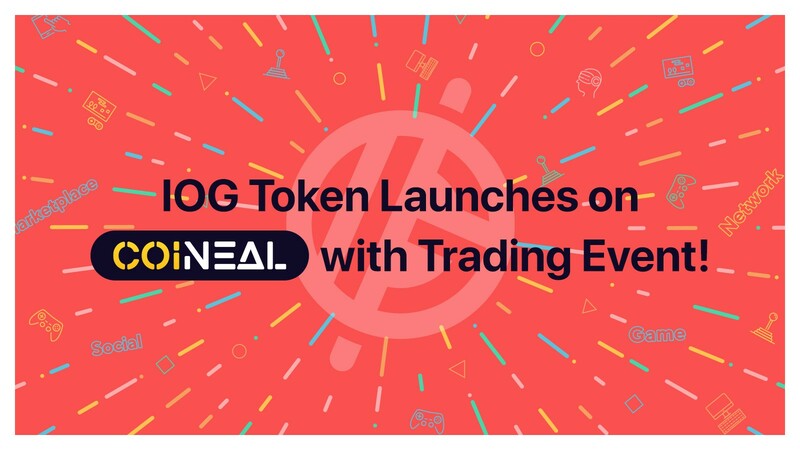 Today, the team at Playgroundz is excited to announce that the IOG token is now available on the Coineal trading platform! With the announcement, what better way to celebrate than with a trading event? Top 3 Traders: 69,000 IOG in total to win! The top 3 accounts with the highest trading amounts of IOG (buys +sells) on Coineal will win a share of 69,000 IOG rewards in proportion to their trading amount. All traders can login and see their rank which updates every hour.